In the early part of the 19th Century, Mr. Hartley Merrall was engaged in the business of manufacturer of 'stuff pieces'. That is to say, He bought yarn and gave out work to hand loom weavers in the areas of Haworth, Cross Roads and Keighley. The class of good consisted mainly of 5/8 and ¾ plainbacks and wildbores. In 1816 he moved into the spinning trade by way of commissions he obtained from Acres Mill in Keighley and it is understood that, at this time, he stopped piece making. In 1822, though still engaged in commission spinning, he moved his enterprise to Low Bridge Mill and in 1829, he moved his business to Haworth and set up a business at Spring Head Mill. This site was previously owned by Mr. Joseph Greenwood and Mr. Merrall purchased the mill when Mr. Greenwood died. Soon after his arrival at Spring Head, Mr. Merrall began manufacturing stuff pieces in his own right and the commission work became less and less. He consequently employed a considerable number of Combers and Weavers to undertake the large amount of work he had taken on and it was only about 4 years later that he took on his four sons, Edwin, Michael, Stephen and Hartley into partnership. Initially, the class of goods manufactured by the Partnership consisted largely of plainbacks and wildbores but, by the time the partnership was underway, they had moved into the 6qr merino class of trade. In his wisdom, Mr. Hartley Merrall allowed his sons to run the manufacturing side of the business, the business becoming known as Merrall Brothers. Through constant hard-working and painstaking industry, the brothers turned what was a small family business into a thriving prosperous firm. Whilst is appears that they never moved into the luster trade or ventured into Orleans cloth, they did, however, begin to use cotton warps around 1840. The class of goods they were now manufacturing was wefted with, what was known as, 'the soft yarns'. These were, in fact, yarns spun from fine wools. It was in 1844 that they built the new mill and warehouse on Lees Lane and, shortly after, both Michael and Stephen each build dwelling houses at Lees, within easy walking distance of the new mill. Shortly after, around 1851, Ebor Mill and Ebor House both came on the market. The house was believed to have been built in 1829, though other sources suggest that the House was built in the 18th century and was re-fronted in 1819. It could also be possible for the original property to have been demolished and completely rebuilt by Hiram Craven Jr, who occupied the property from 1829. When Hiram Craven and his two sons, Thomas and Hiram Jr, built Ebor Mill in 1819, it is entirely possible that they built the mill on the site of an earlier mill. The Cravens, previously of Dockroyd at Oakworth were reputable building contractors, having built bridges, roads and railways. They then turned their attention to the textile industry during the early part of the nineteenth century. They had purchased Higher Providence Mill at Oakworth, which they completely rebuilt. They then bought Mytholmes mill, which they enlarged and expanded. Their next undertaking was Ebor mill. They first built the dam to enable a waterwheel to be built, a waterwheel large enough to drive a worsted-spinning mill. When the mill was completed it was leased to Townsend and Company, Worsted Spinners and Manufacturers. And in 1834 Townsend and Co were taken over by the newly formed partnership of Craven and Sugden who, not only 'put out' work to hand combers and hand weavers, they also employed a number of hand combers and wool sorters at the mill but their main concern was spinning. They also installed a number of power looms for weaving coburgs, orleans, merinos and double twills. Hiram Craven Junior was named as Senior Mill Manager and moved into Ebor House. During the 1840s Craven and Sugden suffered severe financial losses which resulted in them ceasing to business at Ebor Mill and in 1851 The Mill and the House were purchased by The Merrall Family. Edwin Merrall bought both Ebor Mill and Ebor House from the representatives of Mr. Hiram Craven. Edwin made his home at the Ebor House. The Youngest brother, Hartley, remained at Spring Head Mill taking sole ownership of the Mill and properties and running the business with the help of his sons. Hartley was a very industrious man and the business at Spring Head continued to flourish, though nowhere near as successfully as Lees and Ebor Mills under the auspice of his older brothers. 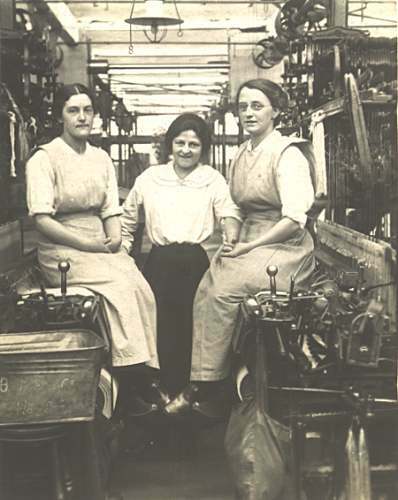 Due to their success and industry, the brothers built large weaving sheds and extended the spinning mill and warehouse facilities all fitted with the most modern machinery and appliances. They also greatly enlarged Ebor Mill by erecting new weaving sheds as well as building a gasworks to supply both mills. By this time, they were supplying the highest class of goods. Yarns of the highest quality and most beautiful texture, wefted with soft yarns, spun from the finest English, Botany and Australian wools. There was a great demand for their product and their employees were earning good wages as a consequence of their enterprise. It was said that their work-force formed one of the most prosperous communities in the whole of Yorkshire. In 1885, Lees Mill suffered a terrible fire which resulted in around £30,000 of damage and the original mill being gutted but worst of all, around 400 people were thrown out of work. The cause of the fire was given as 'gas jet in contact with warp'. Documents show that the mill was rebuilt by 1892. Not only had they rebuilt bigger and better than before, they had expanded Lees Mill to the other side of the road and had also extended Ebor Mills. 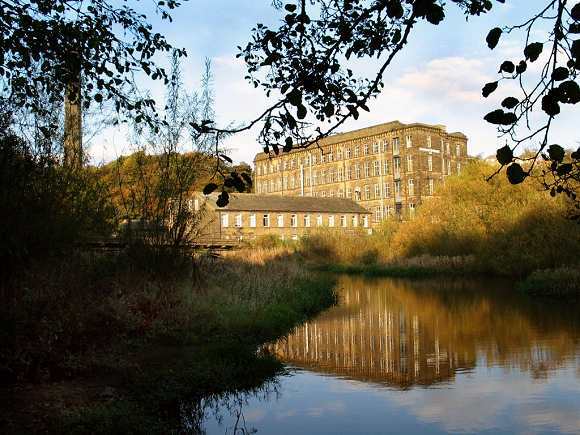 They had also bought Lowertown Shed, also known as Lower Holme Mill, at Oxenhope, to which they expanded the weaving shed and added a spinning mill during the 1890s. In 1906 they added a further building to the west of Lees Mill. In 1910 the company was listed as having 15,000 spindles, 1,400 Looms specializing in worsted coatings and linings and undertaking their own combing, making them one of Yorkshire's largest worsted spinning concerns.